This is the ultimate skating solution, as you now have two roller skates at the touch of a button. 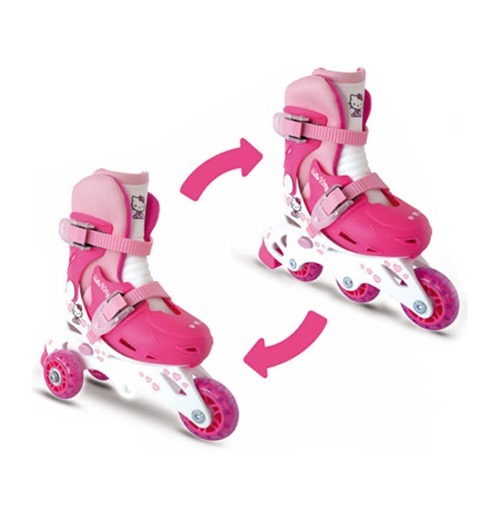 Simply press the button on the side of the skates to switch between Quads or Inline skates. The adjustable fittings of these skates enables feet sizes from 27 to 30 to fit perfectly. 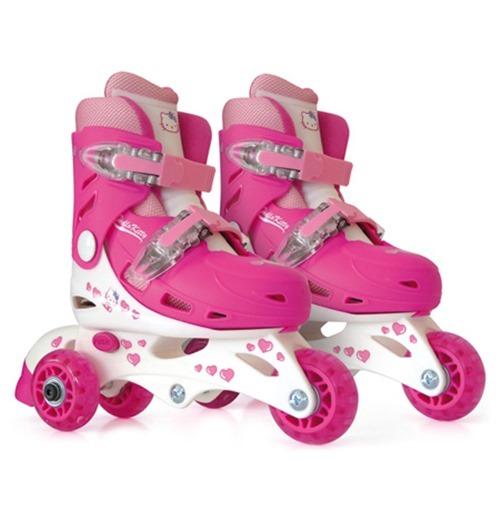 The Hello Kitty design of these skates makes them the ideal gift.